THE WHITELEY BANK SCHOOL OF GLIDING: On the left Mr. Merriam is seen getting out of his machine after a trial flight. 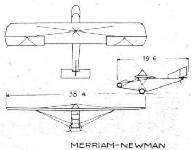 Mr. Newman, who had a large share in building the machine, is standing by the nose. 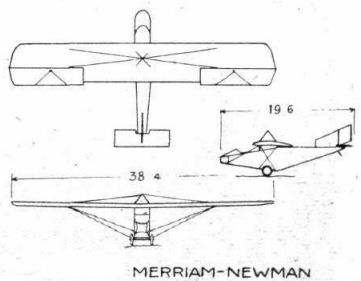 On the right, the Merriam-Newman glider is seen just before touching after a flight.